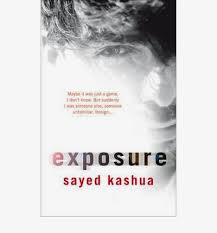 Sayed Kashua’s Exposure is one of the more conventional novels on the Independent Foreign Fiction Prize long list, marketed, from the change of title onwards (the US version was called Second Person Singular) as a thriller. It would be a mistake, however, to think that Kashau is not asking some perceptive and difficult questions in his novel, in particular questions about cultural identity. Kashua is an Israeli Arab, and the contradictions already apparent in this label are explored in the novel. Of course anyone can have such thoughts when enraged, though in this case he is supported by a cultural tradition that associates infidelity with death, as we see when he later more coolly considers who should kill her. The novel, however, is not about whether or not the lawyer kills or even divorces his wife. In part two, we learn the story of the note, and the Yonatan whose book it was found in. From that point on the novel moves in two directions: the lawyer attempts to hunt down Yonatan and discover the truth behind the note, while we learn, from the opposite direction, who Yonatan is and where the note came from. It would spoil the novel a little to say too much about this, but part of the story involves a young Arab taking on the identity of a Jew. This allows Kashua to both highlight how superficial the difference are while at the same time exploring the differences that this identity makes. He begins with a simple example: as an Arab he can only get work in the kitchens of a restaurant; as a Jew he can be a waiter. This novel struck me as a fascinating and accessible way of exploring the issues of Israel and Palestine by an author who clearly knows the complexity of the situation well yet doesn’t overload the reader with detail and focuses everything around his characters. Kashua even manages to come up with a twist at the end. A good rather than a great novel, it may not make it onto the short list, but I certainly found it worth reading. 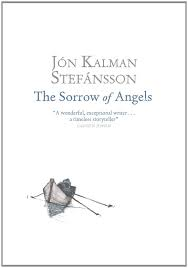 The Sorrow of Angels is Iceland’s second novel on the Independent Foreign Fiction Prize long list – not bad for a country with a population of 320,000. It’s the second book in a trilogy that began with Heaven and Hell in 2011 (both have been translated into English by Philip Roughton). Unfortunately I have now read the second volume while being completely unacquainted with the first. While this is largely unimportant for the majority of the story, I did find the novel’s opening intense with characters given the stressed remoteness of the setting – characters, I assume, that would be known to readers of part one. Certainly the central character, an unnamed boy, unites both stories. On the other hand, Heaven and Hell, at least in part, describes a journey of extreme hardship and danger to return a book to its owner (if the summary I read is to be believed) while The Sorrow of Angels describes a journey of extreme hardship and danger to deliver the post, so perhaps this second volume would have seemed more repetitive than it did if I had already read the first. During the novel he struggles with his awakening sexuality, just as Jens struggles with his love for a woman who murdered her previous husband. Jens is dour and silent; the boy is talkative and curious. On their journey the danger of becoming lost or simply giving up in the snow storm and perishing is very real. Often they can hardly see ahead and more than once they become separated. Death is literally all around them – a typical Icelandic greeting seems to be to ask if the person you have met is dead or alive. At one point the boy believes he is guided back to Jens by the ghost of a woman, which then takes them both to the house where she has died. Many people have loved this novel but, while I didn’t dislike it, I certainly wasn’t enthralled by it either. While there are moments of gripping drama on their journey, even the danger eventually became rather repetitive: Stefansson may not have a hundred different words for snow but he has certainly used many thousands describing it. It also perhaps suffered a little from being the middle volume of a trilogy, lacking a satisfying conclusion. The boy sliding down a hill at breakneck speed on the back of a coffin has, I’m sure, great symbolic value (and I would love to see it filmed, especially in 3D) but, ultimately, it didn’t take us very far. All will probably be much clearer by the end of volume three, but I feel I’m unlikely to be there. You are currently browsing the 1streading's Blog blog archives for April, 2014.